Some of us, or perhaps most of us, learned a thing or two about love through telenovelas and romantic comedy films. Romance in the movies have made us understand the joy and pain of love through its on screen couples and these pairs have somehow made us feel what it feels like to be in love. KathNiel, Kimerald, MarkJen—these couples gave us the kilig moments so much that it confused many fans whether their affection towards each other is just for show or if it's the real deal. It was in 1996 when Rico Yan and Claudine Barretto paired up for the movie Radio Romance. 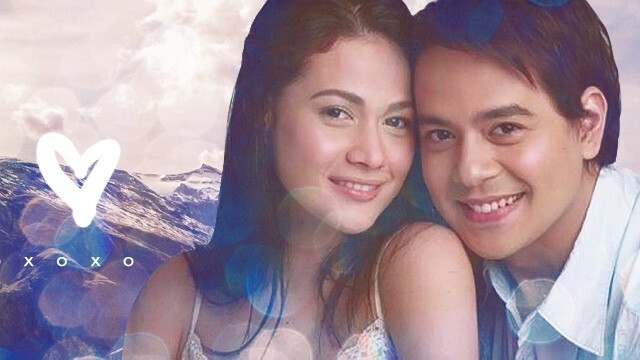 Their onscreen chemistry was a big hit and their first movie gained high ratings even though their tandem was just an experiment since Rico Yan was currently paired with Judy Ann Santos at that time. Being the "It" couple of the 90s, the matinee idol and the mestiza beauty made it big in almost every movie they made together because of their great chemistry, but it was in the film, Dahil Mahal na Mahal Kita where the two finally crossed the line of being reel lovers to real lovers. Some say that Rico Yan was Claudine Barretto's first true love and that until now, she still visits his grave. The pair first crossed paths during the casting of Starstruck in 2003 where in the end, both of them were named ultimate male and female survivor. When they started to make movies together, you can't help but ask, "Is it for the film or is it real?" We've been so drawn to this love team—a bad boy meets and falls in love with a simple and innocent looking girl. It's a scene we've imagined and replayed in our heads over and over again. Kim and Gerald's friendship started out in a reality TV show, Pinoy Big Brother. With Kim being the winner and Gerald coming in at third, the pair's charisma and chemistry together gained them numerous teleseryes and movies that avid KimErald fans never missed watching. It's just a matter of time before forgiveness is given. Forgiveness is important when it comes to relationships of love or friendship—forgiveness is about swallowing your pride and accepting things that have happened before moving on. For someone to move on from a painful experience, one must forgive to give yourself and the other person concerned a clean slate to start on. "Ako na lang ulit." Who could forget this line from Bea Alonzo and John Lloyd's movie One More Chance. During the film's prime, everyone was quoting lines from this movie and I guess this is the love team's production that had the biggest impact on viewers. Even with their countless TV shows and films together, their "love" for each other remained on screen all these years. They taught us a very important lesson that no matter what happens, if it's not meant to be, it shouldn't be forced. Love teams can also just be friends. The same goes with others—just because you have great chemistry with someone doesn't mean you two should be together. Love should come out naturally and not forced.